This video series will walk you through how easy it is to deploy a PHP web site on the Microsoft Platform. 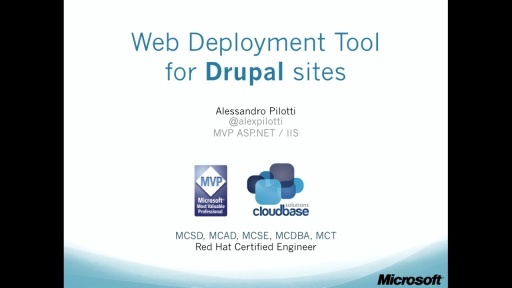 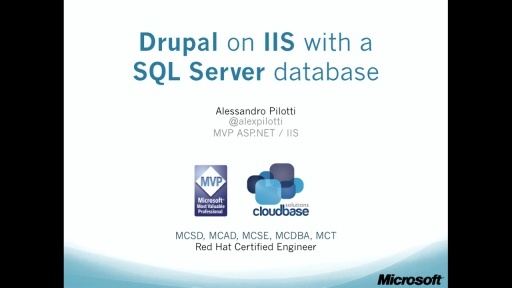 In the first set of this series we'll use Drupal 7 as an example and show how to properly deploy and configure for scale on Windows Server 2008, starting from the basic installation up to the creation of a highly scalable web farm with load balancing features and much more. 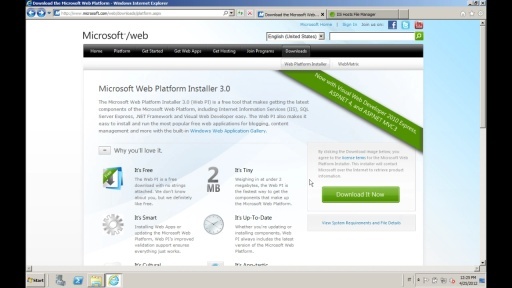 We'll deeply explore the IIS 7.5 platform, including URL Rewrite, WinCache for PHP which provides opcode and user data cache features, Application Request Routing, WebFarm Framework which provides reverse proxy features and AppFabric Cache for distributed cache support. 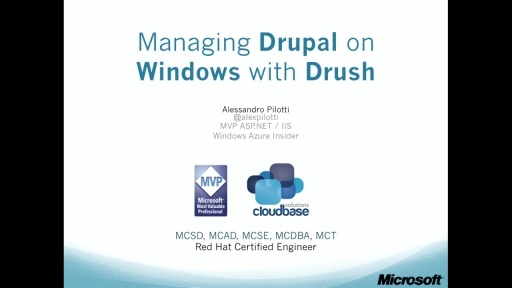 As a bonus we'll also cover an OSS command line tool Drush which is commonly used in the Drupal community and show how we've worked with the community to make this compatible with Windows. We have a ton of deeply technical content to cover so buckle up and get ready for the ride! Microsoft MVP and Red Hat Certified Engineer Alessandro Pilotti will be your guide through this series.